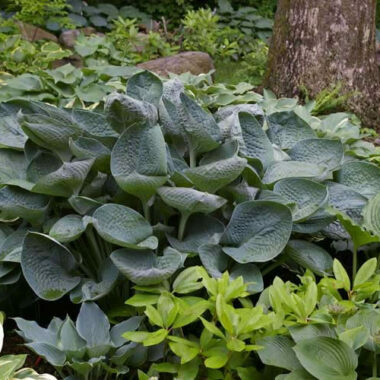 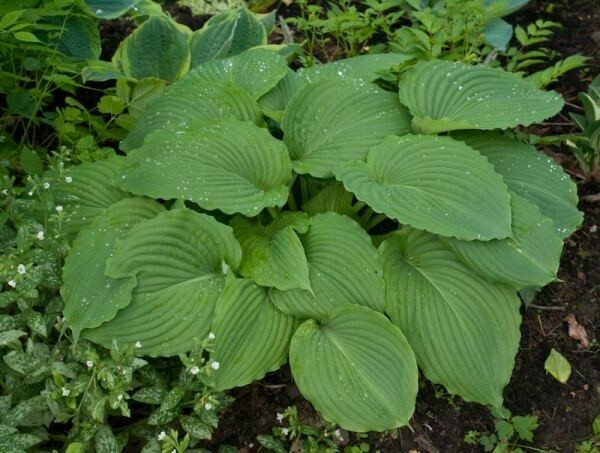 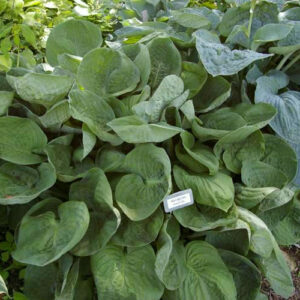 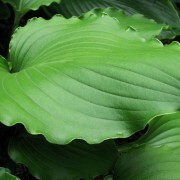 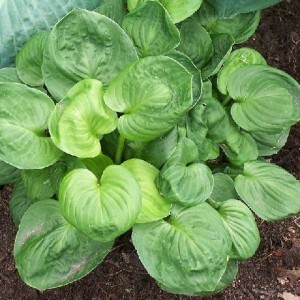 Niagara Falls Hosta – Heart shaped leaves with wide, deep impressed veins. 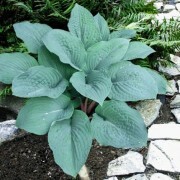 The dark spinach-green leaves develop a beautiful sheen. 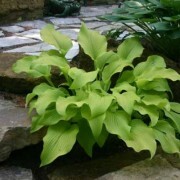 Very nice pie-crust edging. 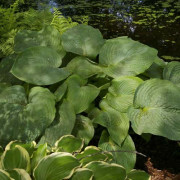 Large: 33″ high by 60″ wide; leaves 14″ long by 10 1/2″ wide,heavily rippled dark green leaves with deeply impressed veins. 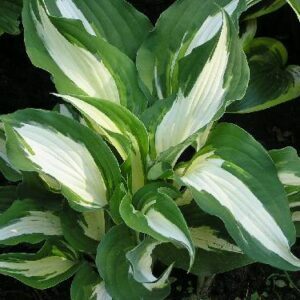 Pale violet flowers on 48” scapes.